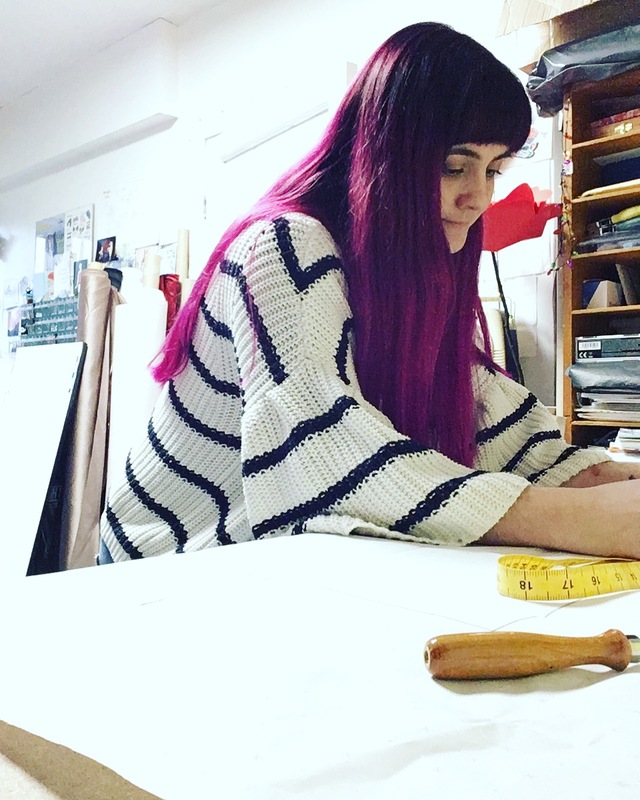 Rolling on into 2018 with a great first week back in the workroom, I’ve been busy creating patterns and samples for bespoke orders. It’s exciting discussing design ideas and possible fabrics with customers but its absolutely magical when you can start to create the actual garment and see it come to life and working with sparkly sequin fabrics whats not to love. 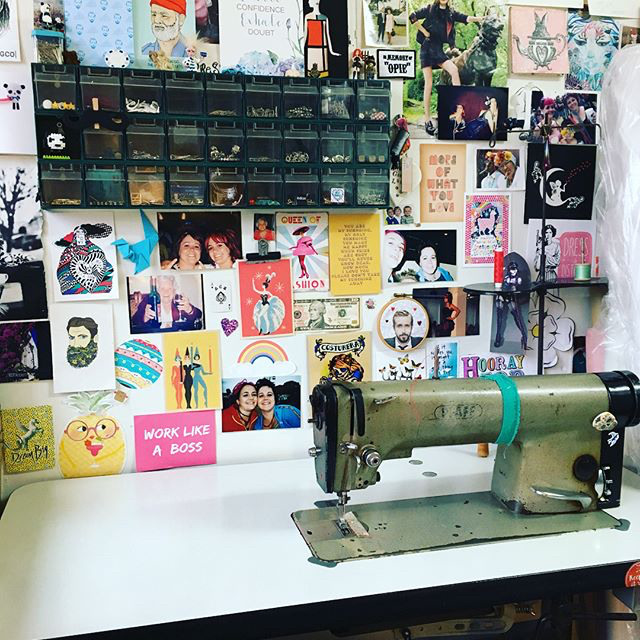 I’ve also been spending time re-arranging and tidying my workroom along with some banging tunes of course, nothing better than a good clear space to get creative though it doesn’t stay clear for long! Sprucing up my inspiration wall has been fun too, I love to start the year by starting blank and filling it with ideas and positivity over the year, it’s very satisfying how colourful it can get. I would highly recommend clearing a little wall space for yourself and get creative! It could be anywhere your bedroom, above your desk, even the fridge.. just fill it full of wonderful pictures, memories, colour swatches, fairy lights, adventure planning – ANYTHING. Its guaranteed to make you smile. 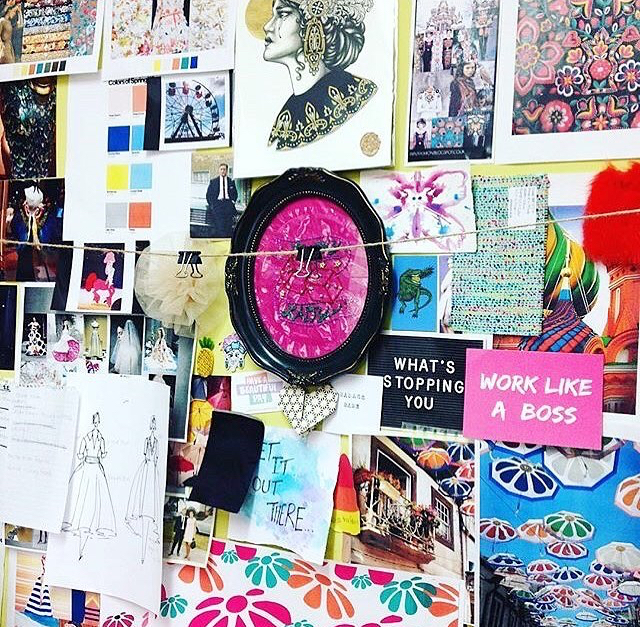 So that’s my first proper week back in the workroom – pretty dam sweet if you ask me.